You already know Mixmax gives you email superpowers. How about upping your game to superhero-secret-agent? 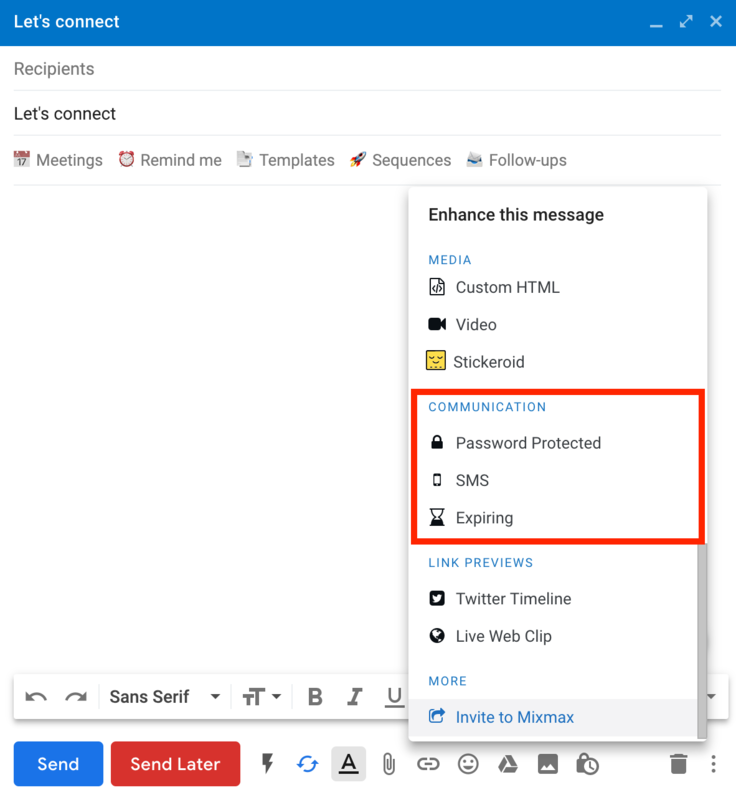 Self-destructing and password-protected messages keep your confidential information private and top secret. 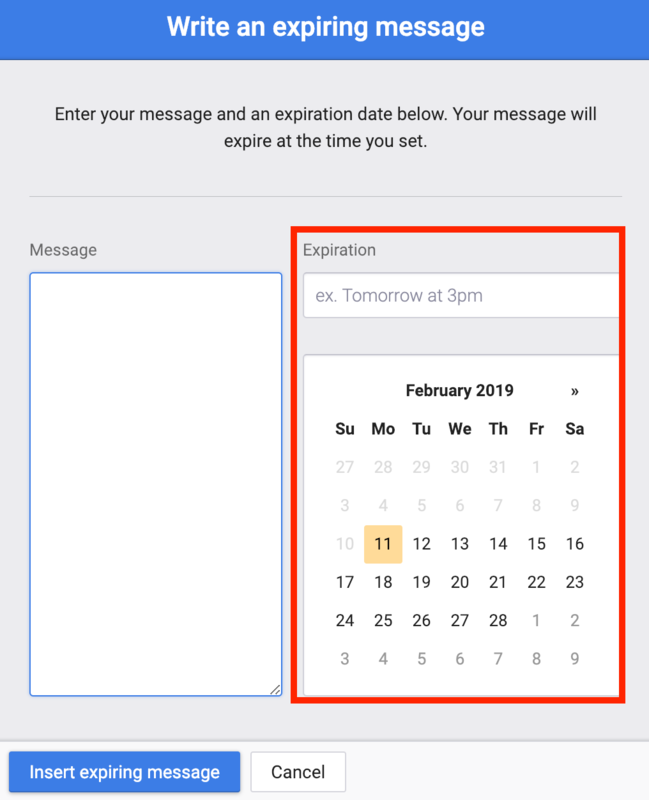 Set your message to expire at a specified time. 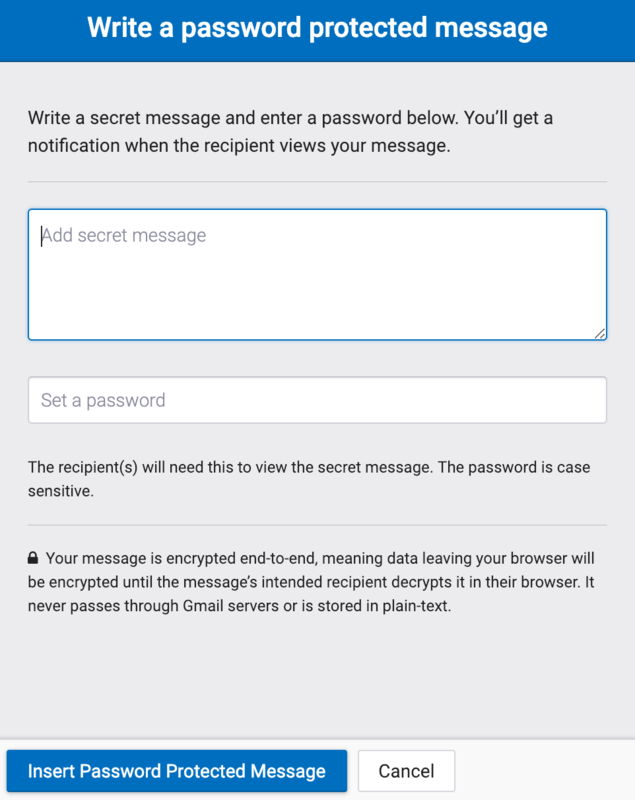 Write a secret message and set a secret password for your recipient to view the secret. To send the secret password to your recipient, you could give it to them via phone, in-person, or during a secret rendezvous at a speakeasy. You are a Mixmax secret-agent-superhero, after all!